Many folks in early recovery are struggling with the very real first few days of detox and withdrawal. The first few days days can be brutal, both physically and mentally, as well as a wide range of other issues ie Natural Consequences of their actions. It is important to remember that we need to take care of ourselves.. be gentle and reward any positive changes. Some days, not using, getting out of bed, and small domestic tasks are a huge win. Self care: that is doing daily basic needs like sleeping, hygiene (bathing, brushing teeth, grooming), eating well, taking your medications, exercise, and any needed medical care. Taking a break amidst a tub of warm bubbles or under the warm hands of an experienced masseuse can help you feel like you’re escaping a stressful reality and taking a mental and emotional vacation. As I mentioned, it triggers the relaxation response and allows you to come back to the reality of your life feeling refreshed and relaxed. While different people have varying degrees of introversion and extroversion, having some time along is important for most people’s functioning. When you’re relaxing by yourself, it’s much easier to slip into a state of quiet meditation, enjoy some self-reflection, or let your problems work themselves out in the back of your mind, without taking all of your focused concentration. Giving your body some special treatment is a natural way to relieve stress. Other than keeping your skin soft and your body in good repair, spa-related activities like massage and warm baths have been known to soothe even small colicky babies like nothing else. 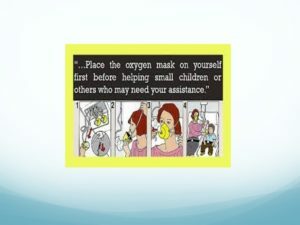 Such activities continue to be effective tools for relaxation as we get older, but we sometimes forget to utilize them. Take a Bath: Get out the bubbles, oils, and scented soaps, and soak until you’re wrinkled. Deep-Condition Your Hair: While you’re in the tub, put on a deep-conditioning treatment for your hair, and let it work as you relax. Deep-Clean Your Pores: With a nice clay masque, you can draw impurities out of your skin and stress out of your system. Care For Your Feet: After you soak your feet to soften calloused skin, use a pumice stone to slough off dead skin, and finish with a rich foot cream, and perhaps polish. Nourish Your Skin: Rich, luxurious creams smell wonderful and feel smooth, especially if you exfoliate your skin in the tub before putting them on. Get a Massage: This one can be especially nice. If your budget doesn’t allow for regular massages with a professional, see if you can trade with a friend or your spouse, or use an electronic massager. In addition to pampering yourself, more substantial forms of self-care involving healthy lifestyle choices are important, too. Consuming a healthy diet, getting regular exercise, and being sure you get enough sleep are all important for long-term health and stress management as well. Try the following self-care strategies to build a healthier lifestyle and greater resilience toward stress. Healthy boundaries are not about the other person or their actions. They are about self. Remember the hula hoop? The brightly coloured, very simple, but hours of fun toy that we had when we were kids. I want you to imagine that you have one around you right now. It magically hovers around your waist area all the time. Now imagine that everyone else has one around them too.So often, we spend an incredible amount of time and energy on things that we can’t control. And then we get mad at ourselves for failing to do what was never possible to do in the first place because it was not within our control. This is the cause of much of the distress that people come to see me about.Ok, you might say, but what has that got to do with a hula hoop? Well, I might answer, the hula hoop is your very own sorting tool for differentiating between what you can and cannot control. In other words, if it is in your hula hoop, you can probably control it. If it is out of your hula hoop, you cannot control it and all efforts to do so are wasted. What is IN your hula hoop? What is OUT of your hula hoop? Are you starting to get the picture here? What is YOURS is in your hula hoop, and THOSE are really the only things you can control. Everything that is not yours belongs outside the hula hoop. 1. Decide what you want and don’t want from/with people. A good idea is to do this both in general, and with any person or situation that reveals that more boundaries are needed (you know you need boundaries when you are frustrated, angry, or hurt). 2. 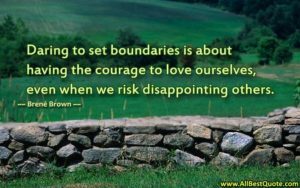 Decide to be extremely sensitive about boundaries (enlarge your boundaries), and to be constructive about enforcing them. 1. Educate or inform people what they are doing. Just inform them in a matter of fact way. 2. If it continues, tell them what you want and don’t want, and how you feel about that. 3. If it continues, warn them how you will separate yourself from them &/or their negative behavior, either temporarily (while it continues), or if necessary, permanently. 4. If it continues, distance yourself as you said you would, preferably short term, long term when necessary.